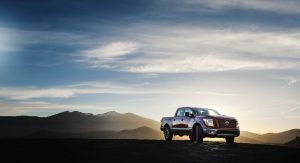 Nissan has announced the pricing and range details of the 2018 Titan and Titan XD pickup trucks. 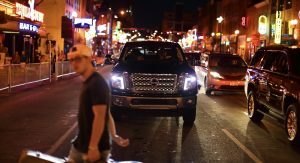 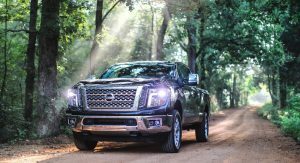 The biggest highlight of the 2018MY Titan range is the addition of the Midnight Edition package, which includes a body color grille with dark insert, dark headlights and black …everything, including the 20-inch wheels, both bumpers and badging. 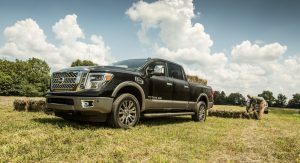 The black-themed package is available on the Titan and Titan XD Crew Cab SV and SL 4×4 and 4×2 models, for the price of $1,250. 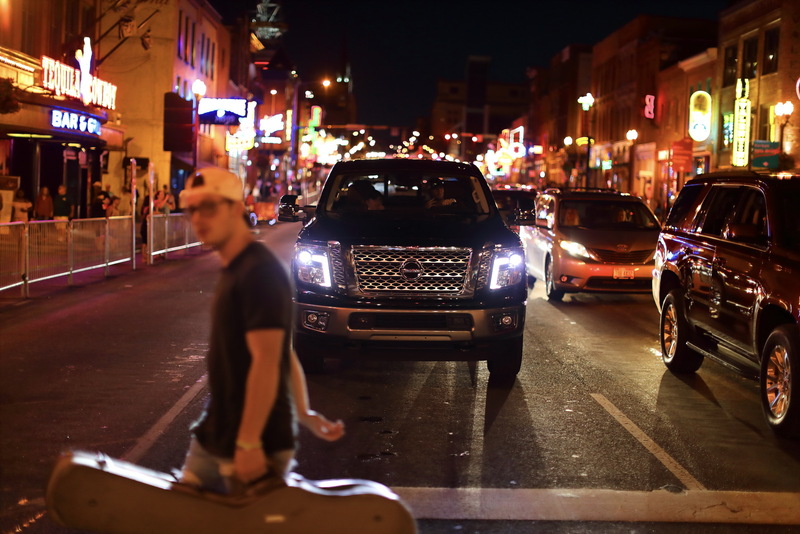 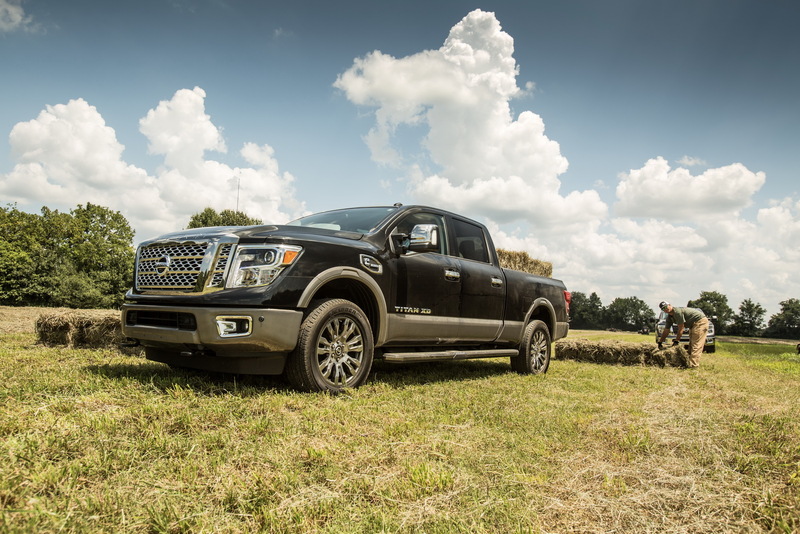 Half-ton Titans are available in Single Cab, King Cab and Crew Cab body configurations and with 4×2 and 4×4. 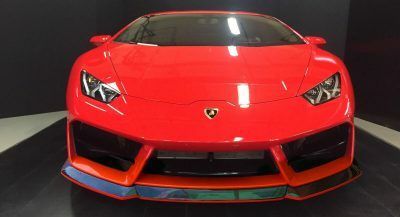 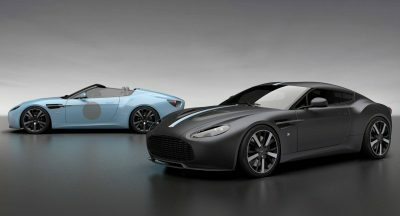 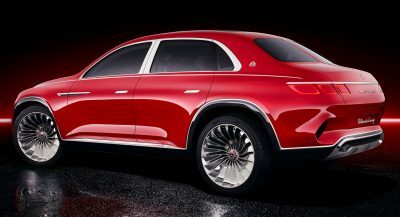 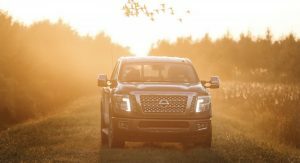 All versions continue using the 5.6-liter Endurance V8 which produces 390hp and is mated to a seven-speed automatic transmission. 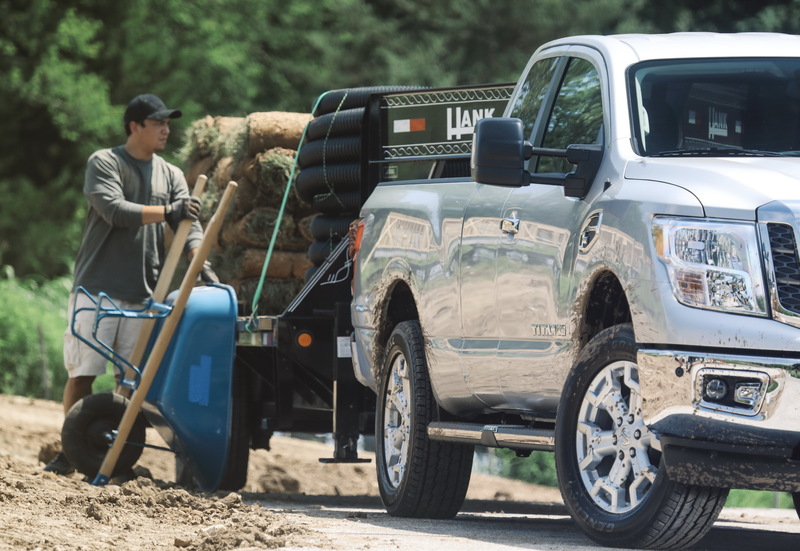 The available maximum towing capacity is rated at 9,740 pounds and the maximum payload capacity is 1,950 pounds, when properly equipped. 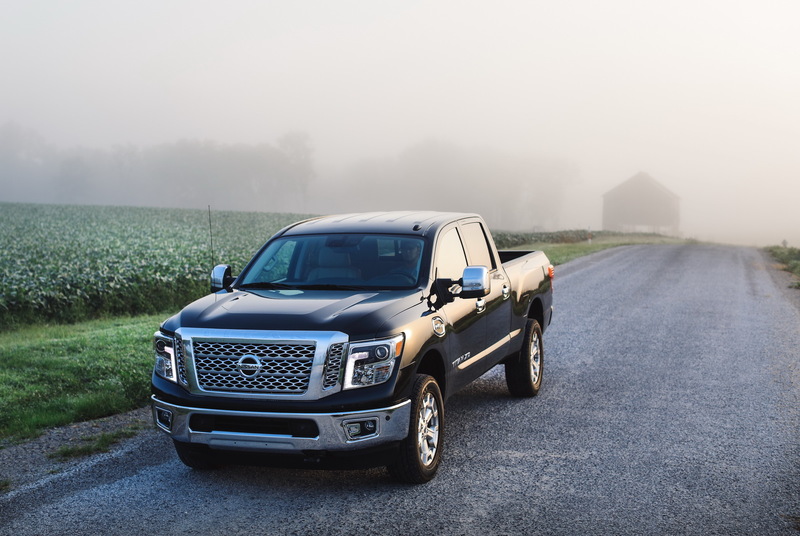 The 2018 Nissan Titan half-ton comes with utility features like an Integrated Trailer Brake Controller, Trailer Sway Control (TSC), Tow/Haul Mode with Downhill Speed Control and a Trailer Light Check system. 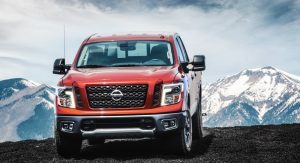 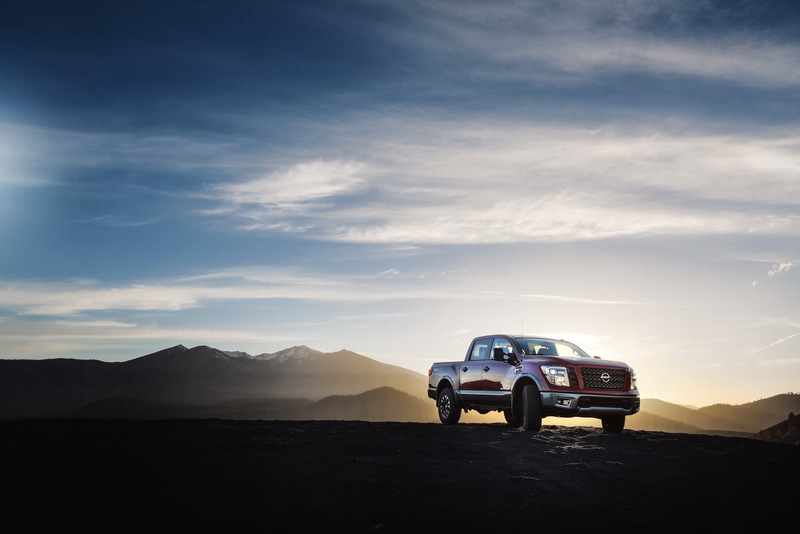 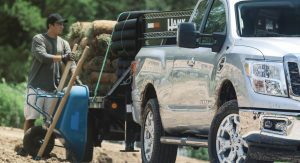 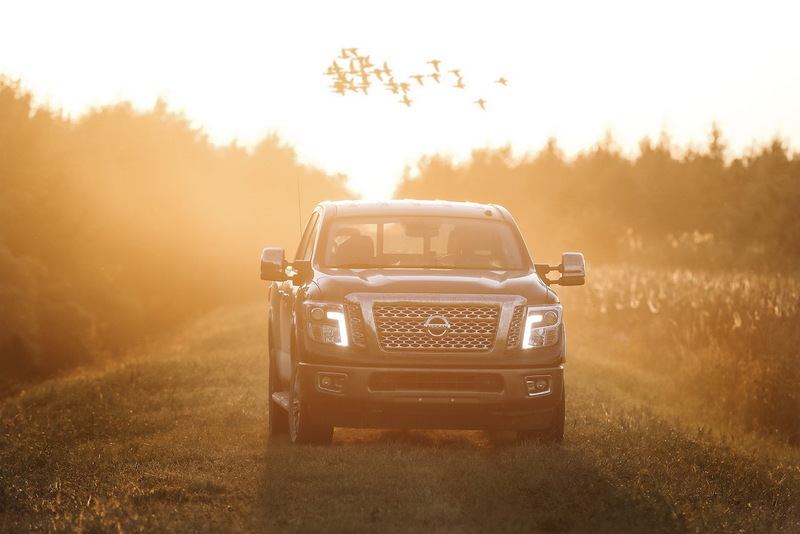 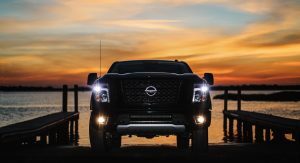 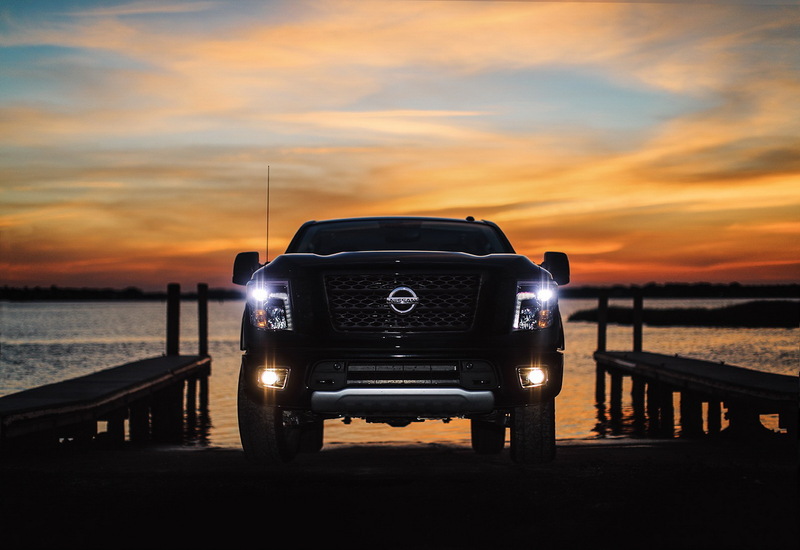 As for the Titan XD, Nissan’s bigger pickup truck offers an available maximum towing capacity of 12,310 pounds and maximum payload capacity of 2,080 pounds (when properly equipped). 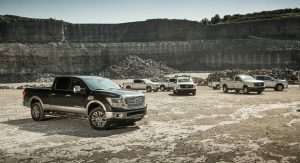 The lineup includes Crew Cab, King Cab and Single Cab body styles, two bed lengths, a choice between a Cummins 5.0L V8 turbodiesel or the 5.6-liter V8 petrol, 4×4 or 4×2 drivelines and five trim levels. 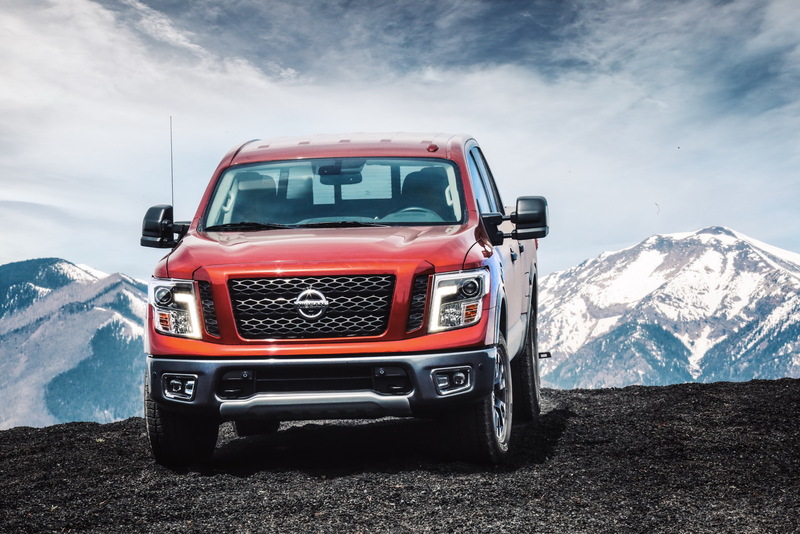 The 2018 Nissan Titan and Titan XD trucks are on sale now at dealers nationwide. 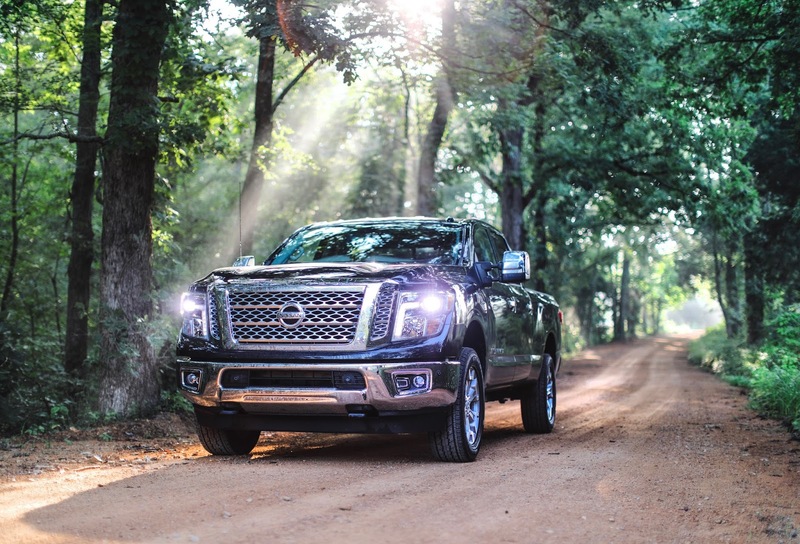 More “bling” in the grille than 12 Cadillac Escalades. 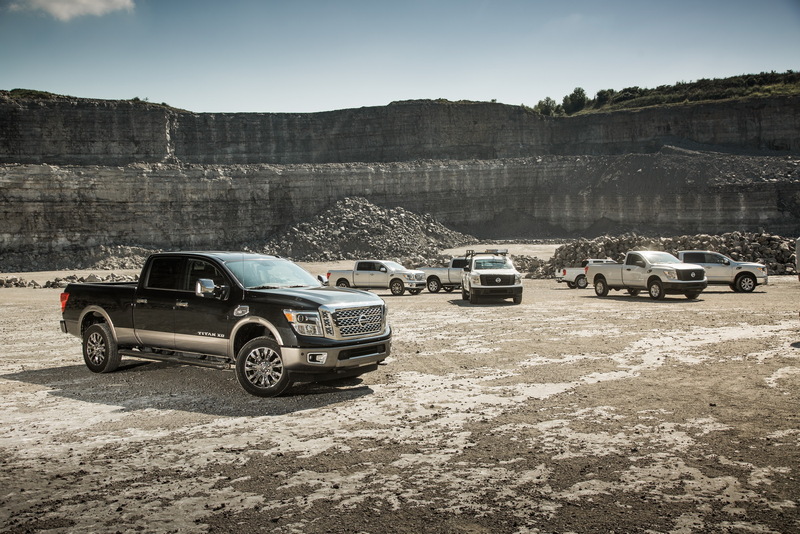 The Titan looks good all dressed up! 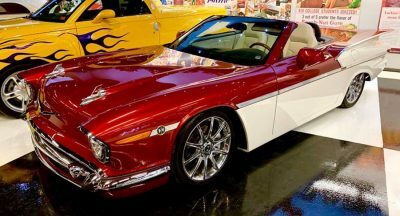 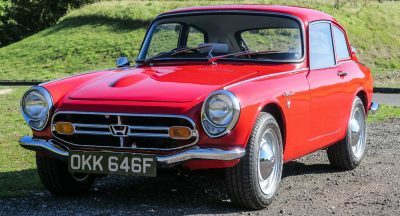 The basic ones remind of Fords of yesteryear, they look old. 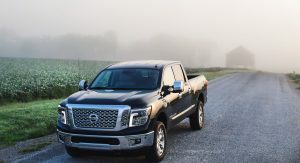 I own a Nissan Murano and I’d rather take an F150 than this.